Unwind amid the rolling hills, stately pines and shimmering waters of North Louisiana’s lake country. 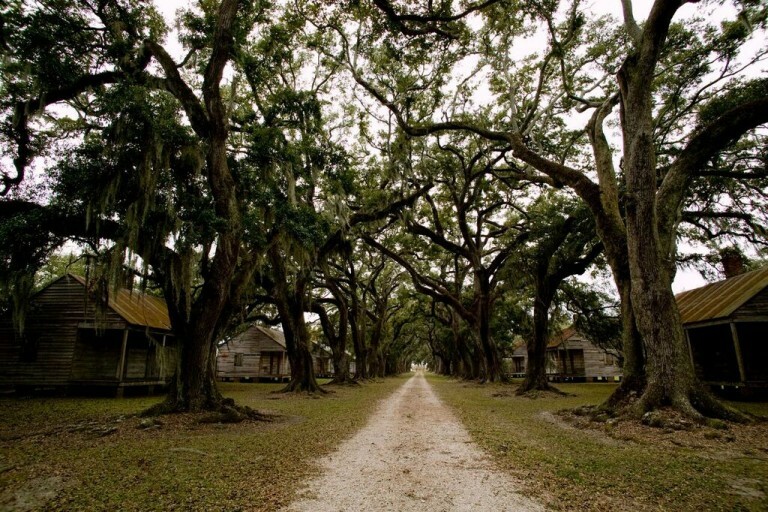 Historically known as “no man’s land,” today Toledo Bend Lake Country‘s remote location plays in its favor. The largest manmade body of water in the South, Toledo Bend covers an area of 185,000 acres with a reservoir that extends for 65 miles. For those looking for a tranquil spot to unplug, this translates to unobstructed views and lots of peace and quiet. Cypress Bend Resort lies on the southeast side of the lake, across from the Sabine National Forest near the border of Texas and Louisiana. 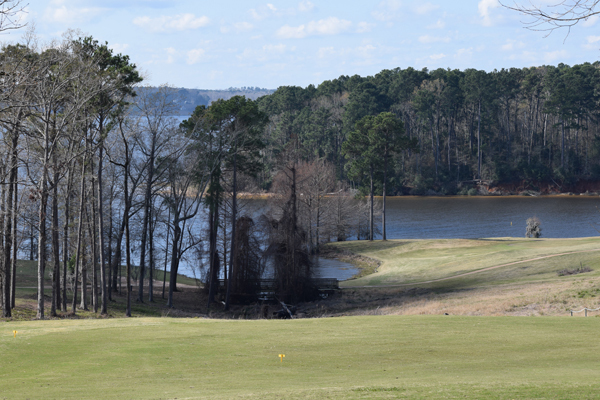 While the resort’s golf course is known as the crown jewel of the Audubon Golf Trail, with 18 holes that follow the curls of Toledo Bend’s inlets, the sport isn’t the only reason to visit. 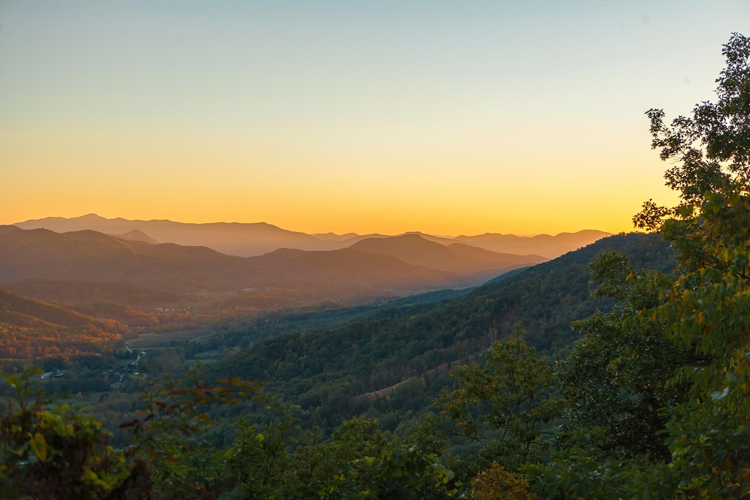 Sweeping views of water and trees, a full-service spa, hiking and dining also make for a relaxing getaway. 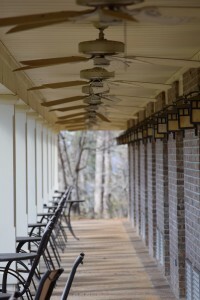 Patio guestrooms open up to a view of the 18th fairway, with rocking chairs for sitting, sipping or reading a good book. Get a closer view after hours by walking along the course path that leads down to the water or take a hike on the property’s scenic nature trail that winds through the forest and up near the water for expansive lake views. Located adjacent to the pool and fitness center, The Spa at Cypress Bend offers signature, Swedish, couples and deep tissue massages, along with several facials, wraps and body polishes. Or you can set aside three luxurious hours for the Cypress Signature package — a massage, body polish and facial. As the sun starts to set over the lake, head up to the Sabine Social Room for a glass of wine or specialty cocktail. You’ll want to take your drink out onto the back veranda though and maybe even stroll through the Kitchen Herb Garden filled with fragrant herbs and vegetables that could easily make their way into your dinner. On warm evenings, you can even dine outside, but double fireplaces inside keep things cozy until summer arrives. Start your meal at the salad bar piled high with fresh vegetables and seafood (from shrimp to mussels). The dinner menu is also teeming with fresh seafood, starting with the Jumbo Lump Crab Cake appetizer served with Creole mustard mayonnaise. Or try the Cypress Sampler for a taste of nearby Natchitoches meat pies. 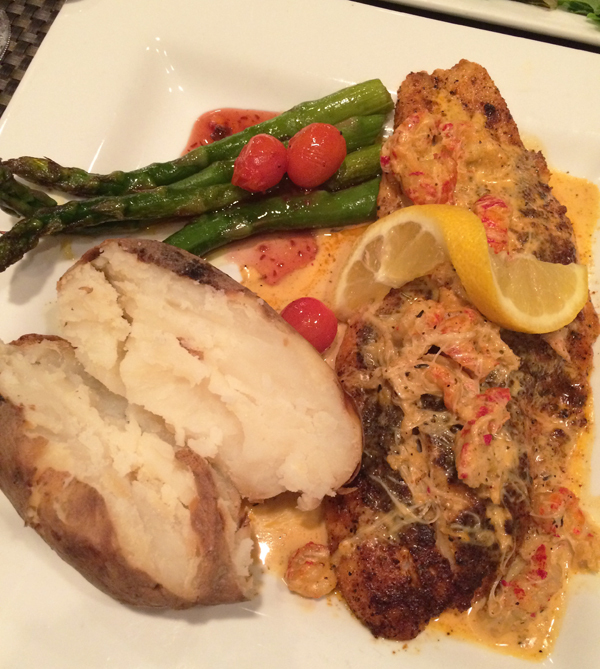 Contrast that with chicken and andouille sausage gumbo or move on to main dishes like Snapper Pontchartrain — a Gulf red snapper filet topped with blue crab, crawfish and spicy Hollandaise sauce — Delacroix Pasta with shrimp and crab or a ribeye served with the chef’s fresh vegetable of the day and Creole Rice. Finish the meal with a steaming cup of Community Coffee and some Louisiana Bread Pudding or Pecan Pie. The veranda firepit or pool jacuzzi makes a great last stop before bed, but you can also walk off your dinner along the fairway path and take in the stars. They’ll be gone in the morning, when the lake starts shimmering again, the birds begin chirping and it’s time to start another day in this panoramic no man’s land. Thanks to Cypress Bend Resort for hosting us for the evening of February 16. 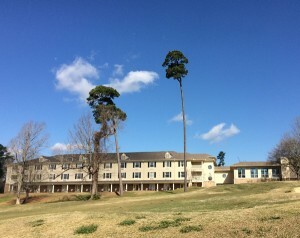 Cypress Bend Resort is located in Many, Louisiana, on the border of Texas and Louisiana. Rates start at $119 a night; spa, dining, golf and fishing services are separate.